Welcome to M.S. Aerospace, proud to be the largest independent manufacturer of aerospace fasteners in the world. Since 1992, the mission of M.S. Aerospace has been very simple: To produce the finest high-strength, close tolerance, high-temperature aerospace bolts, studs, pins, screws and nuts while offering World Class quality, service, integrity, delivery and value. M.S. Aerospace manufactures fasteners for critical space, military, helicopter, commercial aircraft, missile, jet and rocket engine platforms. We manufacture parts for General Electric, Pratt & Whitney, Honeywell, Rolls Royce, Lockheed Martin, ULA, the Department of Defense, MTU, SNECMA, Sikorsky, Aerojet Rocketdyne, and many more OEM’s, Sub-Tiers, and Distributors. Please check the M.S. Aerospace Products page for a sample of the over 20,000 different part numbers we manufacture in every head configuration, style, strength, material and application. We now manufacture hook bolts, impendance bolts, self-locking nuts and barrel nuts. M.S. Aerospace fasteners are 100% U.S. manufactured in our 100,000 sq. ft. facility which includes our own Tool & Die Dept., Hot & Cold Heading, Heat Treatment (Nadcap Accredited), Secondary Machining (Over 50 robotic and CNC lathes), CNC Milling, Marking, Lock-Wire Hole Drilling, Conterless & CNC Grinding, CNC Surface Grinding, Fillet Rolling, Thread Rolling, Lube & Passivation (Nadcap Accredited), Non-Destructive Testing (Nadcap Accredited), and a Full Destructive Test Lab (Nadcap Accredited). In fact, most parts never have to leave our facility from raw material to shipping. Our commitment to Continuous Improvement is reflected in every business decision we make, and in our strong capital investment which keeps us on the cutting edge of the aerospace fastener and specialty fastener industry. We can also help our customers in the design of custom fasteners for specific applications, always with an emphasis on providing the best overall value available in the industry through safety, integrity, responsiveness, quality, and service. As a customer-focused organization, we must understand our customers’ current and future requirements. We must create training, systems and procedures designed to meet and exceed our customers’ expectations. We must establish a unity of purpose, direction and stable environment in order that our employees can be fully engaged in achieving our company’s objectives. We must ensure that our employees are aware of how important their participation is in product realization and quality. We must ensure that all related resources are available and activities are managed as a planned and efficient process to achieve the desired result. We must identify, understand and manage the interrelated processes of our Quality Management System to achieve defined objectives while contributing to the effectiveness and efficiency of our company. We must ensure that all decisions are effective and are based on both logical and intuitive analysis of accurate data and information. We must create value by fostering mutually beneficial relationships with our suppliers, through excellent communication and clear definition of limitations and expectations. It is MS Aerospace’s Quality Policy to provide our customers with competitively priced products that comply with all applicable requirements while meeting or exceeding the customers’ needs and expectations for performance, reliability and safety over the long term. In support of this policy, we are committed to continually improving the effectiveness and efficiency of our processes and of our Quality Management System and to ensure an adequate framework for the establishment and review of the Quality Objectives. As of March 27 2018, M.S. Aerospace Inc. has released a new revision of its Quality Management System (QMS) Manual. If you would like to review the MS Aerospace QMS Manual, click here. The Supplier Quality Assurance Requirements (SQAR) Document establishes requirements for suppliers to M.S. Aerospace, Inc.
SQAR requirements are in addition to those tasks set forth in any other contractual document. The requirements apply to suppliers who are involved with the supply of products or services that fall within a Class I-VI distinction (refer to Section B on the SQAR PDF document). The class distinction is denoted in the purchase order header. Only approved suppliers are permitted to receive PO’s with a specified class distinction. Standardizes quality management system requirements for the aerospace industry. The establishment of common requirements results in improved quality and reduced costs. 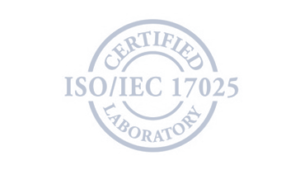 Standardizes all the requirements that testing and calibration laboratories are required to comply to in order to demonstrate that a management system is in place, technical competence, and the ability to generate technically valid results. Provides international, unbiased, independent manufacturing process and product assessments and certification services for the purpose of adding value, reducing total cost, and facilitating relationships between primes and suppliers. M.S. 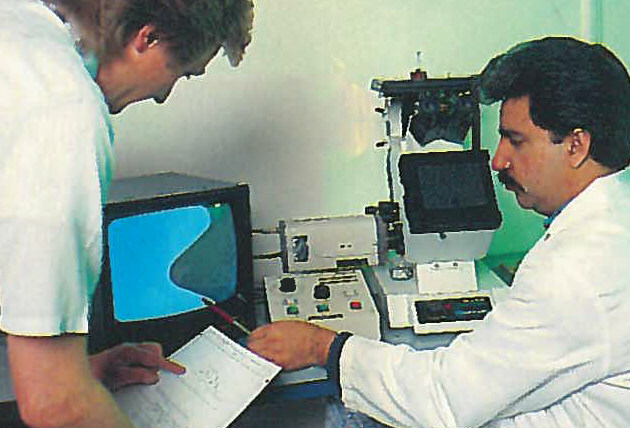 Aerospace was established on June 1st, 1992, with just 3 founding employees, in an empty building on Foothill Boulevard in Sylmar, California, just a few miles from our current location. 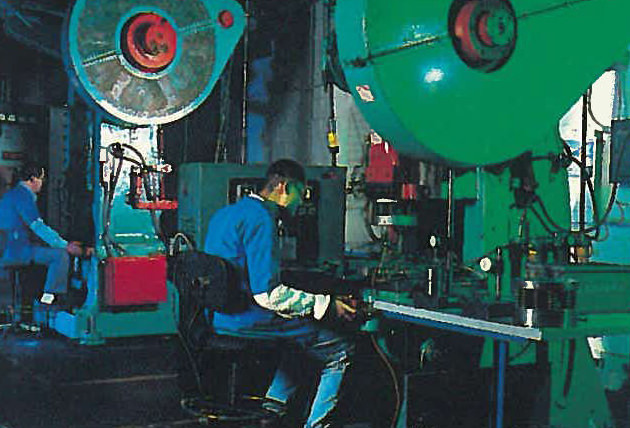 The Company’s core strategy was to position itself as a responsive customer-centric niche player in high temperature, high strength aerospace bolts, studs, pins, and screws, serving the jet engine and rocket engine industry. Right from the start, M.S. Aerospace served the most demanding customers in the industry, with some of the most challenging high strength fasteners. This challenging ambition was accomplished with the founding principle of World Class Manufacturing. In the short term, the depressed aerospace market in 1992 and 1993 forced the company to distinguish itself by concentrating on its core strengths: Unrivaled quality, significantly shorter lead times and superior service. In this way the company was able to maintain tremendous growth even in an industry recession. M.S. Aerospace soon gained a formidable reputation as a manufacturer capable of producing consistently world class fasteners in impressive lead times, with the integrity and documentation required by an increasingly demanding marketplace. By the end of 1993, M.S. Aerospace, had grown to 48 employees and was doing significant business with jet engine manufacturers through distribution. In January of 1994, the original M.S. Aerospace facility on Foothill Boulevard was destroyed by the January 1994 Northridge earthquake. Although a profound blow to the fledging company, M.S. 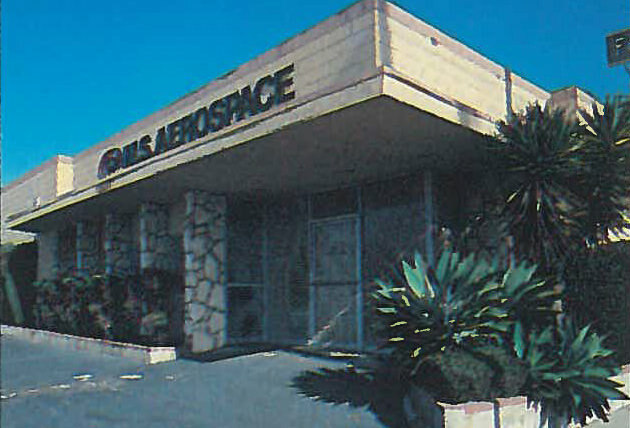 Aerospace secured a building in Burbank and was back in full production by the beginning of February 1994, just two weeks after the earthquake, and just four days after moving into the new building. The process of rebuilding the company began immediately and was successful beyond expectations, so that by the end of 1994, M.S. Aerospace had 73 employees and had a secured General Electric Aircraft Engines approval with a 100% quality rating. The impressive growth continued through 1995 and 1996, and the most significant factor in this growth was attributable to providing Pratt and Whitney and General Electric with impeccable quality jet engine fasteners in very short lead times. 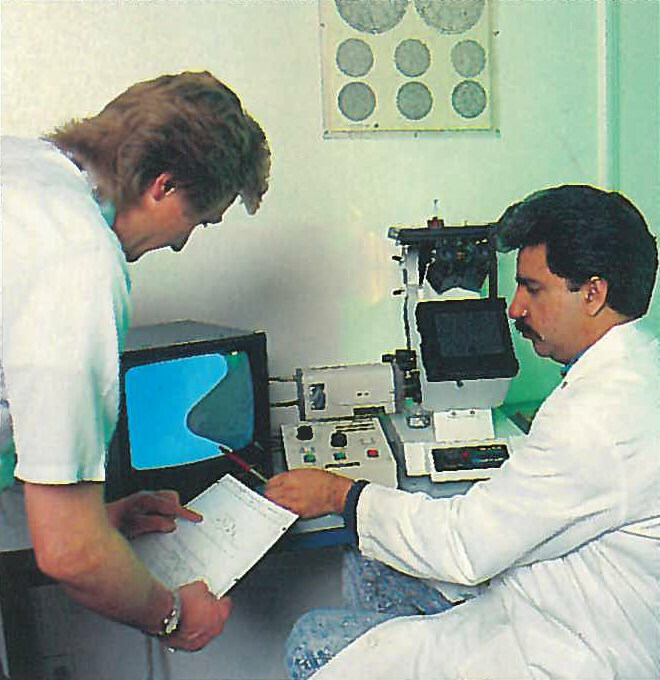 By the end of 1997, with 130 employees, M.S. 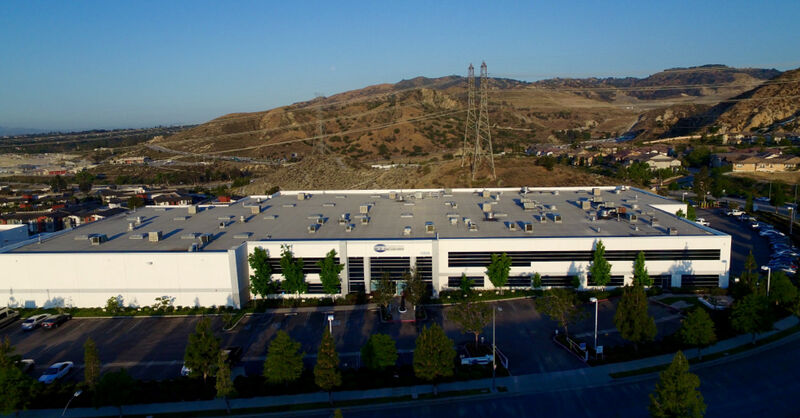 Aerospace had outgrown it’s building in Burbank, and moved into a brand-new, 47,000 square ft., purpose-built facility in the Cascades Business Park, in Sylmar, California. Once again the growth of M.S. Aerospace continued unabated, driven by our ability to provide our customers with an unrivalled level of service, and the very best critical-application aerospace bolts in the business. 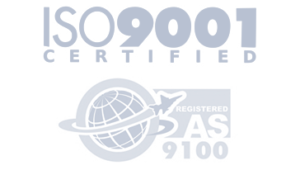 In this period, we gained ISO9001 and AS9100 certification, Nadcap accreditation of our Lab and Non Destructive Testing, and many new OEM approvals. Such has been our growth, that in June of 2004, with 175 employees, M.S. 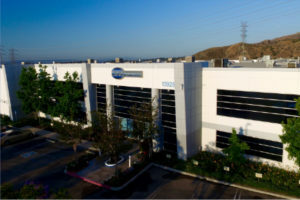 Aerospace moved once again, still within the Cascades Business Park in Sylmar, to another custom building, this time of 100,000 square feet, with 14,000 square feet dedicated to a brandnew Thermal Treatment facility which has already gained Nadcap accreditation. We have also added in-house cleaning, passivation, lube, and drilling. Now with over 300 employees, M.S. Aerospace continues to go from strength to strength, still serving the most demanding customers in the industry, and adding many high strength, high fatigue structural and landing system parts. Reacting to customer demand, in the last few years we have added self-locking nuts and barrel nuts to our portfolio of products, and are proud to say that we have succeeded in this field beyond our expectations. However large we grow, M.S. Aerospace looks forward to serving our customers with consistent reliability, quality, integrity, and service, building on our knowledge and experience in the high strength, close tolerance and high temperature fastener market. Our commitment to Continual Improvement is prominent in every business decision we make, and our dedication to providing our customers with the very best product and service means our customers will receive the best value possible. M.S. Aerospace is proud to offer a nimble, responsive and high value option to the “Big 3” aerospace fastener manufacturers. We will be pleased to manufacture standard or customer special fasteners, or to help you design your aerospace bolt, nut, stud, pin, or screw to the most exacting specifications.